I'd suggested that the first five games had given us a decent start and a start better than many had thought we might have. We'd won three, drawn one and lost just the one, a controversial 2-0 defeat at Brighton. Those results had taken us into third place in the table. We were ahead of both Nottingham Forest and Leicester on goal difference but three points behind leaders Blackpool and promotion favourites QPR. Interestingly, Bolton, another of the promotion favourites, were holding up the league with only two points whilst our closest rivals Blackburn were 12th with three points less than us. Of some concern was they were our next opponents and should they beat us they would go above us. Just days after the win at Derby the transfer window was slammed shut. There was still no sign of the desperately needed striker but we did make one loan signing to fill the gap left by Ross Wallace's injury. The player who came in was Stoke's Michael Kightly, better known to Burnley fans from his days at Wolves, none more so than when he scored both goals in their 2-0 Molineux win against us in the promotion season of 2008/09. Kightly had other offers, offers that were certainly more lucrative to Stoke. But Stoke's chief executive is Tony Scholes and how could anyone with such a name not help Burnley Football Club. The player had no doubts where he wanted to go; he wanted to play for Sean Dyche with whom he'd linked up at Watford during a loan back in 2011. The two games before the break, against Preston in the cup and at Derby, had seen the return from injury of both Michael Duff and Ben Mee. What was clear was that this was becoming a very settled side in terms of personnel with only the two wide positions really up for grabs. We'd started the season with Wallace and Junior Stanislas in the team but at Brighton both Scott Arfield and Keith Treacy were brought in after their cameos in the Yeovil win. They'd retained their places but for Blackburn there was a debut for Kightly with Treacy relegated to the bench. That Blackburn game proved to be yet another frustrating afternoon. I think we can all remember when their Ferraris took on our Minis in 2001 and the Ferraris won 5-0. Things had changed. They could no longer laud it over us but we still couldn't get that win against them we wanted so much. Two 1-1 draws in 2012/13, both that we could conceivably have won, and here was another 1-1 draw. Stanislas came on as a substitute and scored an absolute beauty with under a quarter of an hour to go. It looked as though this was it, but once more lady luck played her hand in their favour. With 86 minutes on the clock a poor back pass by Arfield, followed by a freak deflection off Michael Duff, led to a very fortunate equaliser for Jordan Rhodes and yet again it was 1-1. They ended the game with ten men but once more we hadn't got what we deserved. A look at the league table that night showed we'd dropped to fifth in the table, and we'd retained the three point lead over our closest rivals. We didn't know it at the time; we really couldn't have known it, but we were never that low in the table again and the gap between the two East Lancashire rivals wasn't ever to be that close again throughout the season. There was a real air of disappointment amongst the Burnley fans. I think we'd built ourselves up for this to be the day we finally got our first win against them since 1979, but it wasn't to be and the wait was to go on. Not for too much longer though. We had another home game three days later to help make up for things. It was Birmingham and they hadn't started the season too well. Having said that, for those of us who look at past results against teams as a guide, our home record against Birmingham in recent years was nothing to get us too excited. Whether it made up for not beating Blackburn I don't know, but we beat a very poor Birmingham team easily. Danny Ings got a couple more goals and there was a first Burnley league goal for Arfield, and that was good news for him after the Blackburn equaliser. It was a good result for us. It took us up one place to fourth, but there was better to come four days later as we made our third trip to Yorkshire in this fledgling season. We'd had traffic problems going to York and traffic problems on route to Hillsborough. We'd won both those games so was that an omen when we were forced off the M62 on our way to Elland Road to face Leeds. I was at Elland Road on that wonderful day in 1974 when we gave Don Revie's thugs a 4-1 hammering and I was there when Steve Cotterill's patched up team of right backs came from behind to win 2-1 in 2004. Other than that, this place has been a real graveyard for us and fresh in my mind was the previous performance there, a 1-0 defeat and our last defeat in 2012/13. We were downright shocking. Not this time though. If anyone was marching on together it was the Clarets. We were, at times, simply outstanding in this game. Arfield bagged another and big Sam Vokes got his first ever Elland Road goal (he didn't score there when on loan). Our 2-0 lead at half time looked comfortable and it was only when the barrage of long balls came in that Leeds asserted any threat at all. Matt Smith pulled one back but this was a fully deserved win. We were no longer in the play-off positions. Unbeaten QPR were top but there we were with Leicester and Blackpool just three points behind them. We'd the better goal difference and so held second place. 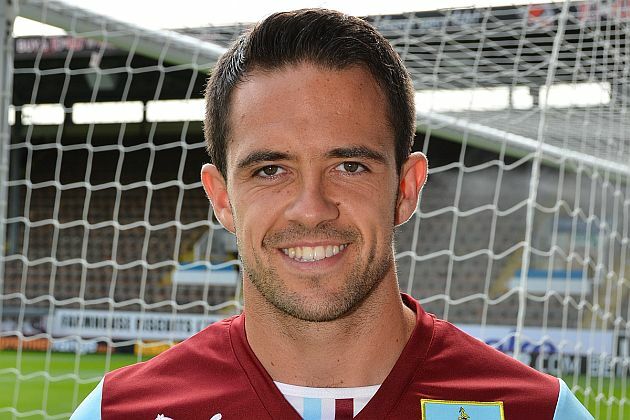 Ings was back in the goals in the following week. We actually fell behind to Nottingham Forest in the Capital One Cup. Needless to say it was their ex-Blackburn striker Matt Derbyshire who got it, but it counted for nothing as Danny scored two crackers to take us through and leave Little Billy whinging. Our leading goalscorer opened things up against Charlton in the next home game with Vokes adding two. It was successive 3-0 home wins now and, with the win at Derby, our third 3-0 victory of the season. We were still second. We were still three points behind unbeaten QPR and above Leicester on goal difference. Blackpool were now one of four teams two points behind us but were out of the top six with all of Watford, Forest and Reading having better goal differences. 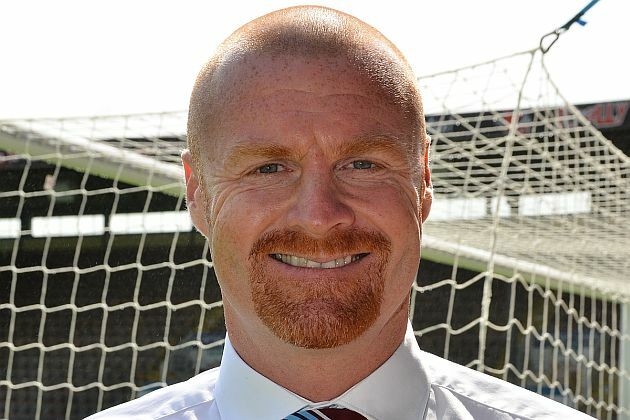 The September results were about to land Sean Dyche with the manager of the month, but before that was announced we had a very special date at Doncaster. It was made special because of Wigan's involvement in the Europa League and the fact that their league game against QPR would not go ahead. That meant a win at Donny would take us level with QPR but above them on goal difference. It meant we would go top of the league. It was enough to almost block the roads, with at least no traffic hold ups this time. The Burnley fans simply poured into the Keepmoat. It took a penalty and an own goal to win it but win it we did. We learned that Vokes was our penalty taker with Wallace out injured and we learned that night, if we didn't know before, how good a player we'd got in Arfield. You'd have thought we'd won the title as the final whistle blew. "We are top of the league," came loud and clear from the away end but it was a calm Dyche who spoke on Radio 5 Live as we made our way home. He poured praise on his players and talked about mentality and physicality and the fans who were backing his side. Two days later Ings was called up for England under-21s and on the Friday that richly deserved accolade for Dyche came his way but there were some tough games ahead. We'd just won four games on the bounce and we were top of the league. That didn't stop the glass half empty brigade though who were quick to tell us we'd played nothing yet. If you looked at the league table it did show that we'd played only three teams in the top half in our first ten games, none in the first eight and Leeds, in twelfth place, were the highest placed team we'd beaten. "You can only beat what's put in front of you," was the retort from those whose glasses were at least half full, and by now, I have to say, my glass was almost overflowing. I was loving this football; I was loving these results and I just couldn't stop looking at the league table. Reading were next. They were coming to Turf Moor just four points behind us and this was, according to all, no matter how full or empty their glasses were, our first big tough test of the season. Tough test it might have been but make no mistake this one was passed with flying colours. The scoreline will tell you that we won 2-1 but this win was far more convincing than that with Reading's goal coming from a late Jason Shackell own goal. By that time Ings and Vokes had yet again both found the net and Burnley were on their way to a fifth successive win just ahead of the next international break. It was a much needed break for our small squad. The striker (we'd been told to wait for the loan window) still hadn't arrived and the only two we had were both now off on international duty with Dyche surely praying they would come back fit. We'd still three games to play in October; there were two in the league and a cup tie against West Ham. If we thought Reading was tough then they were more tough ones to come. We had to go to Ipswich before the clash of the top two at home against QPR. The Ipswich game came on the 45th anniversary of a brilliant 5-1 home win against Leeds when we tore one of the country's top teams apart with a good number of youngsters in the side. This one at Ipswich was not a classic and nowhere near as memorable as that Leeds win, that I can say with some certainty. It was a game that looked, to all intents and purposes, to be heading for a 0-0 draw. Portman Road is a ground that falls into the "I'll never see us win here" category for me but this was the day I finally did with a goal ten minutes from the end. I can still see it now. An Ipswich clearance reached David Jones. He'd had a superb game in the midfield and his perfect cushion header found Kieran Trippier. As he prepared to cross, Arfield moved away from his marker and into position to guide the cross into the far corner with his head. One week later Harry Redknapp brought his promotion favourites to Burnley. By now they'd dropped to two points behind us but with that one game still in hand. They remained unbeaten and no doubt, at the time, this was the biggest game in the Championship all season. "What do you think about our chances, are you confident?" I was asked ahead of the game. My answer was simple, that should we lose we'd still have 29 points from the first 13 games and would be in second place, and that was a return far better than we could have hoped for. Quietly, I was confident. We were playing well and had now won six consecutive league games. Six was to become seven, and if anyone doubted this Burnley team before this game they certainly couldn't have done after it. There was a shock ahead of the game with the rare event of a team change. Arfield, who had scored the winner at Ipswich, was out and Treacy was back in to play his part in what was, beyond any shadow of doubt, our best performance of the season so far. QPR arrived unbeaten; they left with a number one in the defeats column and their disappointed manager unable even to conduct interviews through his car window. We were better than QPR. We were much, much better than them. We reached a level of performance higher than anything previous. Ings got both goals in what was a 2-0 win. The second came from a penalty but the first was sensational as it ended with him getting on the end of a brilliant Vokes return ball. The penalty was a surprise. We thought Vokes was the man but learned after the game that Ings would take those he won with the rest going to his strike partner. Both had now taken one and both had scored well. Had we landed ourselves two reliable penalty takers? "I thought we were fantastic from the first whistle to the last," Dyche enthused but with the car window slammed shut it was Kevin Bond, son of former Burnley manager John, who faced the media. "Credit to Burnley, they stopped us from playing," he said. "They worked extremely hard, but that was no surprise to us, we knew they would. I'm just disappointed we couldn't play through that." I had a huge smile on my face. I really was beginning to think we 'd got something very special here. I was on the bus home that day, just pulling out of the bus station, when I received a text from one of my best friends who, like me, is a season ticket holder. The difference is, his is for the Stadium of Light at Sunderland. It read something like: "What the **** is going on down at your place? You'll be passing us in a few months." My reply, ensuring I was keeping my feet on the ground was: "We only have a small squad. Let's see where we are when the injuries kick in." The cup defeat to West Ham is hardly worth mentioning. We were done by Bobby Madley's crazy penalty award, converted by someone by the name of Matt Taylor, although there was no argument about the second penalty that saw Treacy sent off. But in the league we were top and three points clear of Leicester who were now in second place above QPR who were third and a further two points behind. Blackpool were next, followed by Reading and Forest. And Dyche, proving that the manager of the month award isn't a curse, won it again for October with Danny Ings this time joining him as the player of the month. Not as though it matters but Blackburn now had 16 points against our 32. I said they weren't going to get any closer than they were at the time of the draw between us. Next time we'll look at the rest of the first half of the season, starting with a trip to Millwall, a return to and old stomping ground for our manager.